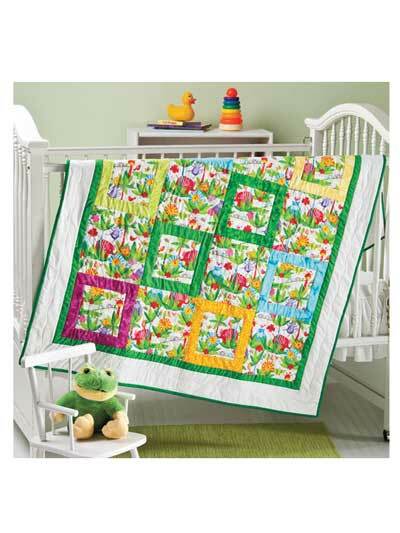 Find 12 adorable baby quilt patterns and quilting designs for kids that you can make in a weekend -- even if you're just learning how to quilt! 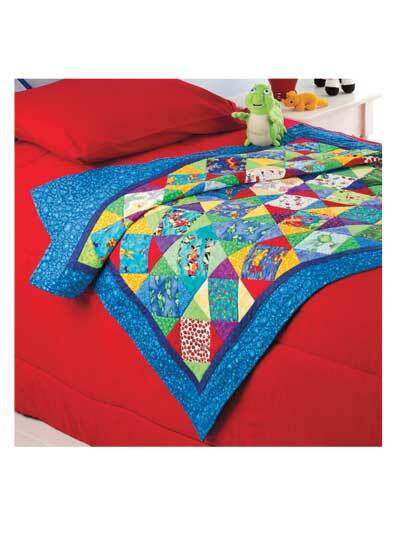 Are you a beginner quilter? 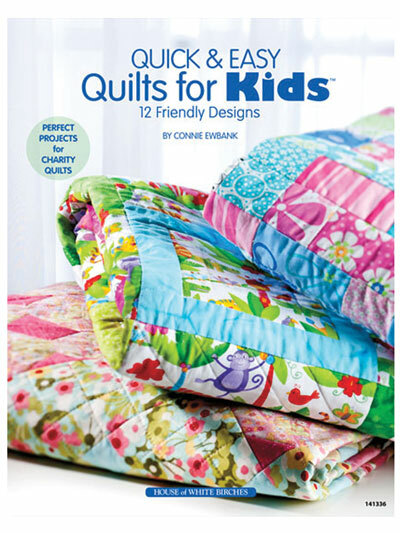 Or looking for quick and easy quilting patterns? Look no further! 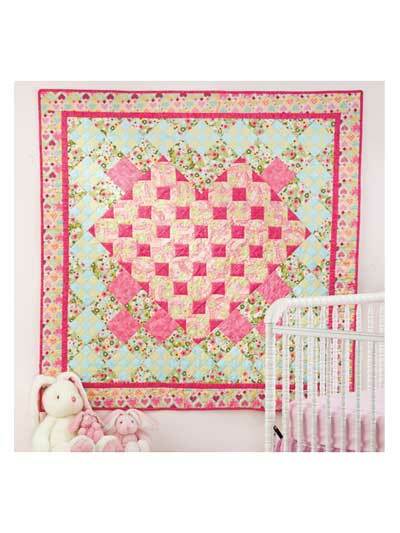 With 12 too-cute quilting patterns for baby blankets and designs for kids, you can make a lovely gift in no time at all! 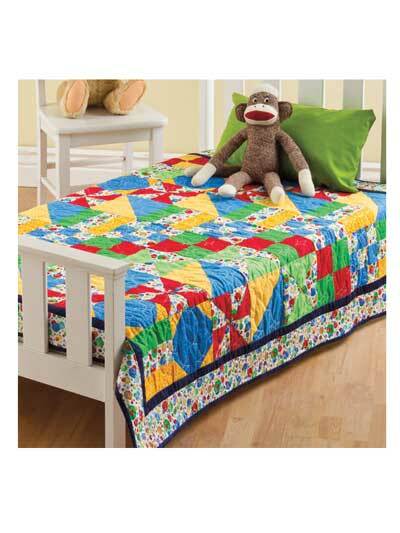 Quick and easy quilts and more! 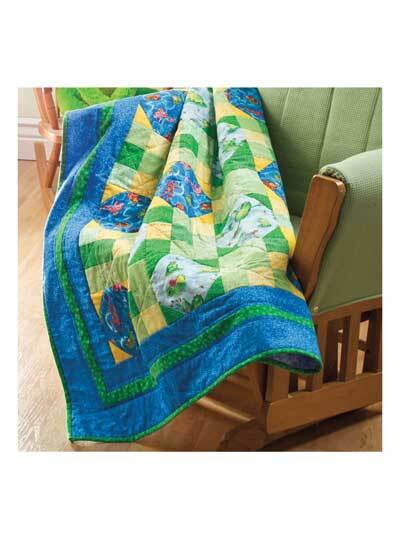 A beginner can easily make these quilt projects in a day or two. 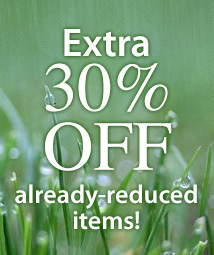 Many are perfect for the use of large focal fabrics that are just too pretty to cut into smaller pieces. Includes step-by-step instructions and full color illustrations. 48 pages, all color. The patterns are very cute, and I'm sure once I learned to quilt I'll make one. In the first quilt it says how much fabric to buy of each college, then it goes on to tell you what to cut. I guess that's where I got lost. What does " cut one 6 1/2" by fabric width strip White print; subcut strip into eight 2 1/2" X 6 1/2 " O rectangles" mean? I guess I need a book with basic terminology explained. 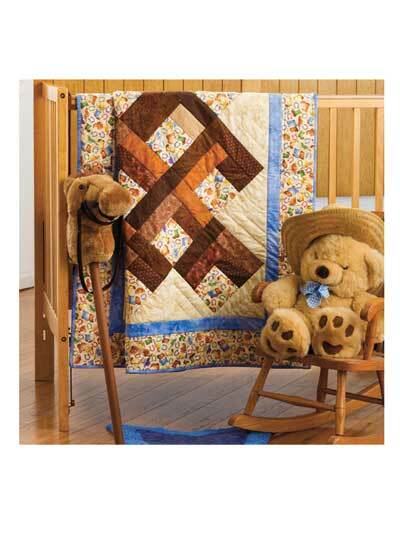 So many quick and easy ideas for quilts for my Grand-kids and friends kids to make. 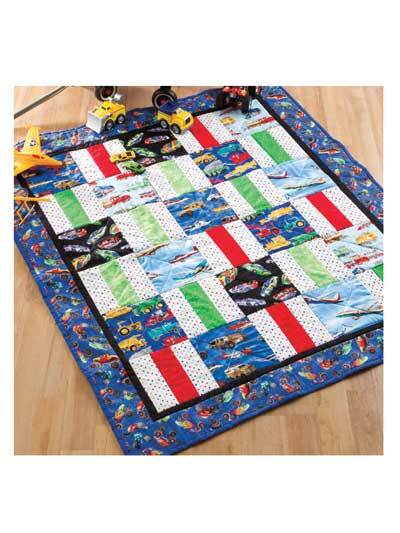 Also gives me more ideas to make a wide assortment of quilts specific for each child. I love it and I am sharing it with 2 friends who have Grand-babies on the way.